A local businessman from Skye has created an animated character with the aim of providing useful information to visitors to the island. 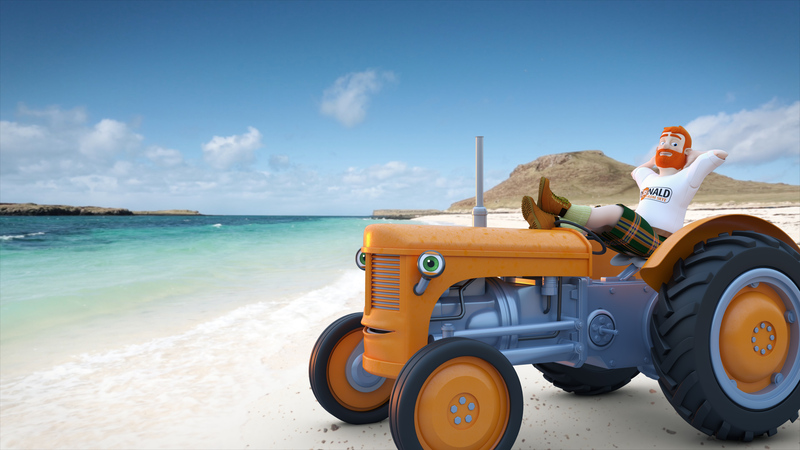 Donald from Skye is an animated character and the star of a short film about the island. 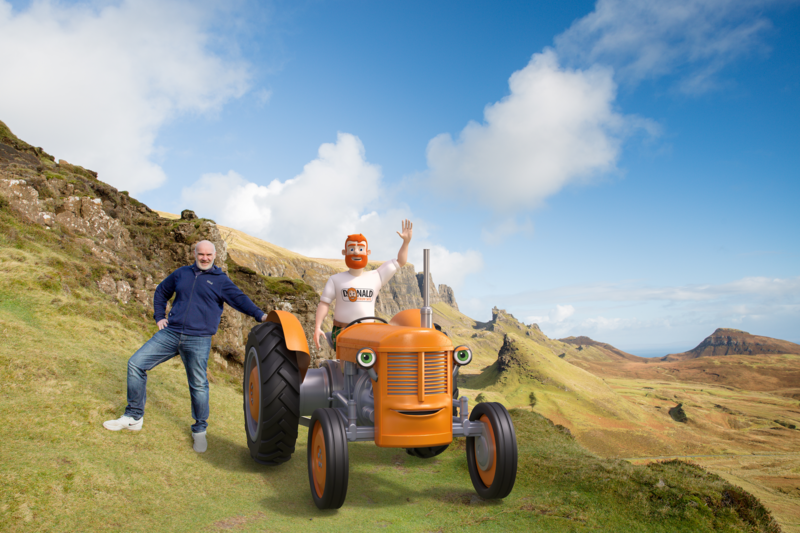 Donald, assisted by his trusted companion Fergie the Tractor, tells visitors to Skye all they need to know – from where to stay and what to do, to how to drive safely on the roads and where to park. 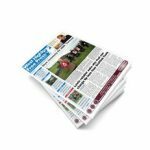 The creation of local businessman Calum MacDonald, it is hoped that Donald from Skye will act as a friendly face for the island and even build up his own following with his trademark ginger beard, kilt, and quirky catchphrases. Visitors can ask Donald any questions they have about their visit and a short animated film of Donald from Skye will be available on Donald’s YouTube channel; acting as a unique and informative source for anyone wishing to visit Skye. Commenting on the launch, Donald from Skye said: “Without a word of a lie, I’m Donald from Skye! I’m here with my pal Fergie the Tractor to help anyone who’d like to visit this beauty of an island that I’ve called home all my life. Whether you’re looking for somewhere to get a tasty meal or have a wee dram; looking for a tour from a local like me, or need somewhere to rest your wee head for a few nights – I’m the man for the job and can tell you everything you need to know. Creator Calum MacDonald was inspired by a previous drawing by his niece, Sadie MacDonald. 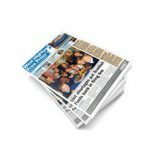 Calum said: “In November 2017, following on from Skye receiving negative publicity during that summer, I was inspired by a drawing my niece had drawn of her family. I came up with the idea of creating a character from Skye, acting as a friendly face for the island and having him help solve the problems Skye was facing. “Since then Donald has developed into an animated character and is the star, along with Fergie the Tractor, of his own animated film. Donald and Fergie answer any questions visitors might have about Skye on the website and we hope to add further episodes of Donald from Skye soon. For more on Donald, you can visit his website here.